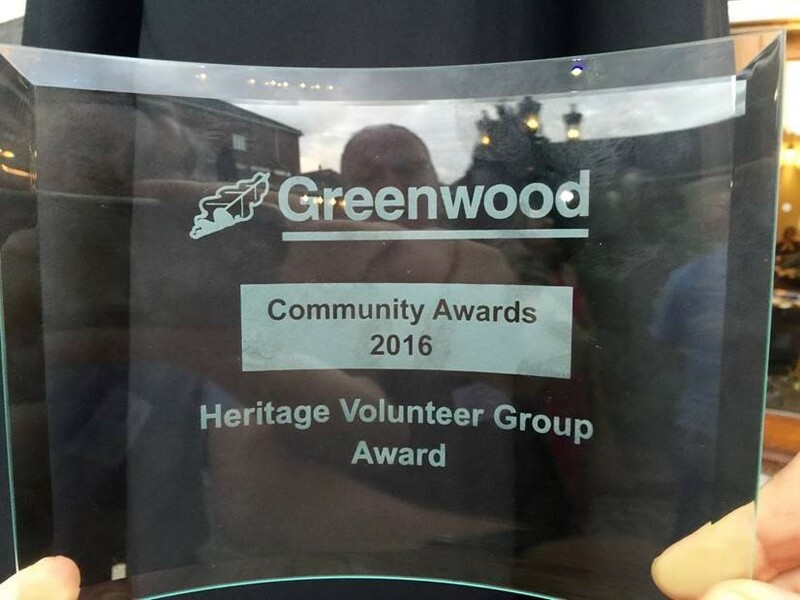 The Friends of Bennerley Viaduct have collected the award for Heritage Volunteers Group at the Greenwood Community Awards 2016. 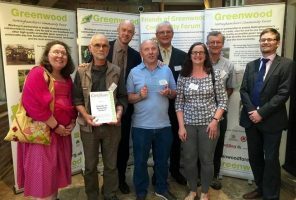 Members of the Friends group collected their award at the Greenwood Community Trust Awards on the 11th July at Swancarr Farm, Trowell. 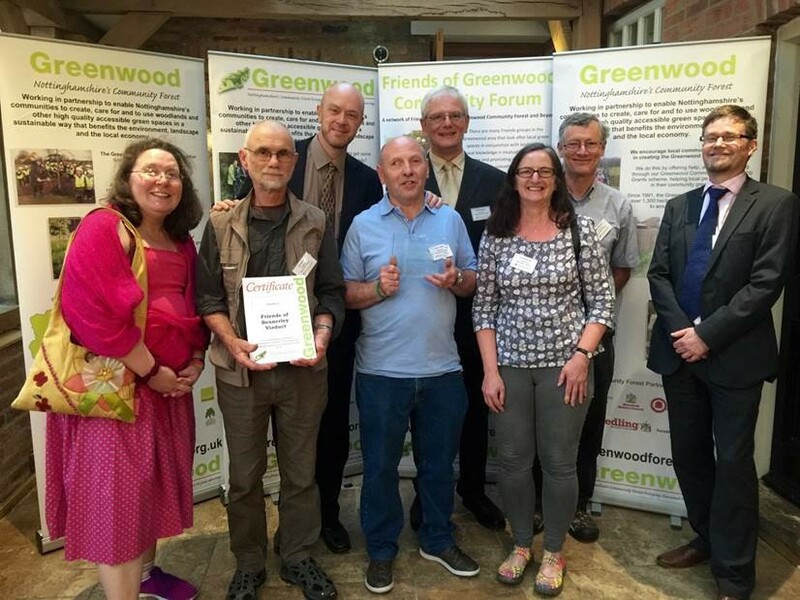 The award recognises the work of the Friends in 2015. 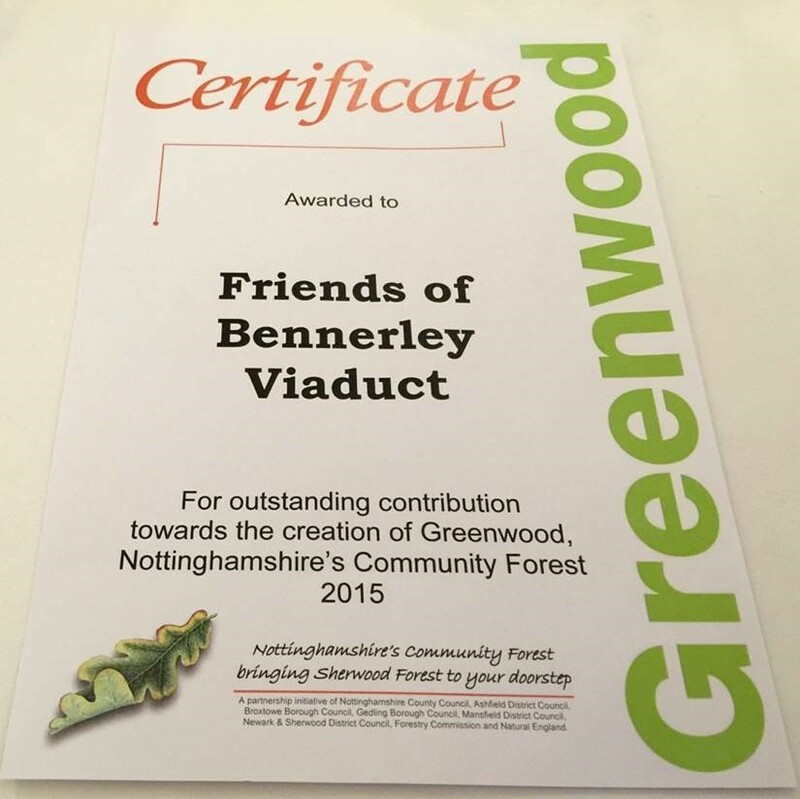 Congratulations and thank you to the Friends of Bennerley Viaduct!